It’s that loved-up time of year again. But don’t just say it with flowers. Go all-out and whisk your loved one away to one of these three valentine’s hot spots. Romance awaits at our elegant Georgian townhouse in the heart of Cheltenham, No.38 The Park. First, unwind, glass of fizz in hand, in our elegant drawing room complete with roaring fire. Then tuck into our beautifully-curated tasting menu. Using locally-sourced, seasonal produce, start with ‘Lamb and Thyme Tea, Oat Cookie’, for pescatarians, ‘Plateau de Fruits de Mer and Mignonette with Belgian Cocktail Sauce’. Then, we’ve gone for a touch of Japanese with ‘Tsukemono Beignet with House-Picked Ginger’ or plump for seriously best of British with ‘Rump of Lamb, Jerusalem Artichokes, Sous Vide Carrots, Sprouting Broccoli, Fresh Mint Jelly’. ‘Textures of Rhubarb’ and ‘Passion Fruit with White Chocolate Posset, Chocolate Mousse, Raspberry Meringue’ are the final flourishes. Afterwards, there’s no need to go far, head upstairs and snuggle down in one of our 13 individually-designed bedrooms with super-king size beds, Egyptian cotton linens and mohair throws plus a mini-bar filled with sweet treats. 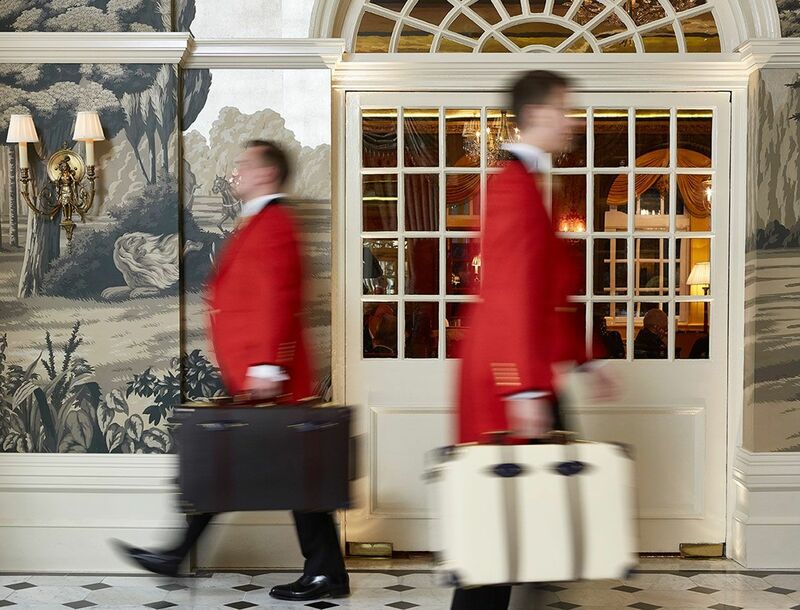 Packed full of charm and character, The Goring, just across from Buckingham Palace, is a glorious one-off. Rooms and suites are lavish and lovely, from the smallest Splendid Rooms to the magnificent Belgravia Suites. Then there’s the palatial yet gorgeously cosy Royal Suite, where the Duchess of Cambridge spent her last night as a Middleton. This is a place where you are indeed treated like royalty. And the Valentine’s Day extravaganza proves it. Start with dinner in the Michelin-starred The Dining Room with a menu showcasing the best of British: ‘Slow cooked organic salmon, Falmouth oyster, green pepper and cucumber’ followed by ‘Hereford beef fillet, cep and foie gras parcel, caramelised English onion’, finishing with ‘Manjari chocolate ganache, caramel mousse, coffee crumble, vanilla’. Then, upstairs, a bottle of fizz awaits, accompanied by chocolate-dipped strawberries… Oh and there’s a late checkout, too. The second largest inhabited castle in the country, Alnwick Castle – home to the Duke and Duchess of Northumberland – has a rich history which is hard to beat, brimming with drama, intrigue and extraordinary people (not to mention Harry Potter). Now the castle has added another string to its bow – a pop-up restaurant for Valentine’s Day. Set against the dramatic backdrop of the castle, it’s one of the hottest tickets around – and that’s before you’ve even got to the food. And the food is hearty stuff – think ‘Warm Salad of Salt Baked Heritage Carrots and Beetroot, Goats Curd, Toasted Grains, Bitter Leaves’ followed by ‘Pork Tenderloin wrapped in Parma Ham, Glazed Baby Carrot, Potato Fondant, Pistachio Crusted Black Pudding, Chain Bridge Honey and Mustard Sauce’ and finishing with the epic ‘Hot Chocolate Fondant Vanilla Bean Ice Cream’. Stay in Eshott Hall just down the road – a fine wisteria-clad English country house with 17 beautiful bedrooms, award-winning restaurant and manicured gardens.